Our classes respect the normal development of the child, recognising the incredible nature of brain and body development. Our classes have been built to enhance the knowledge and skills of parents to work with their children providing them with the important skills and stimulation for growth and development. Build upon skills you have learnt at Baby Sensory, Gymbaroo and other incredible programs. Each class is run by a Chiropractor who can help you understand the ins and outs of childhood development. This class is for parents who want to take their knowledge to the next level to help their children thrive. It is also perfect for parents who are after support to trouble-shoot difficulties and have questions as to how best to move forward. Your baby’s brain grows and develops in the most wonderful ways thanks to stimulating playtime you do with them. During the first three years of life the connections being made will help move them through to the next stages of development. Tummy time is one of the most essential and foundation activities in infancy but it’s often talked about as a vague goal without specifics so you know you are doing enough. As a parent its so hard to know how much a baby needs, how often it should be done and why some babies might not be enjoying their time on their tummy! This workshop is here to help you as a parent understanding the enormous benefits of tummy time. 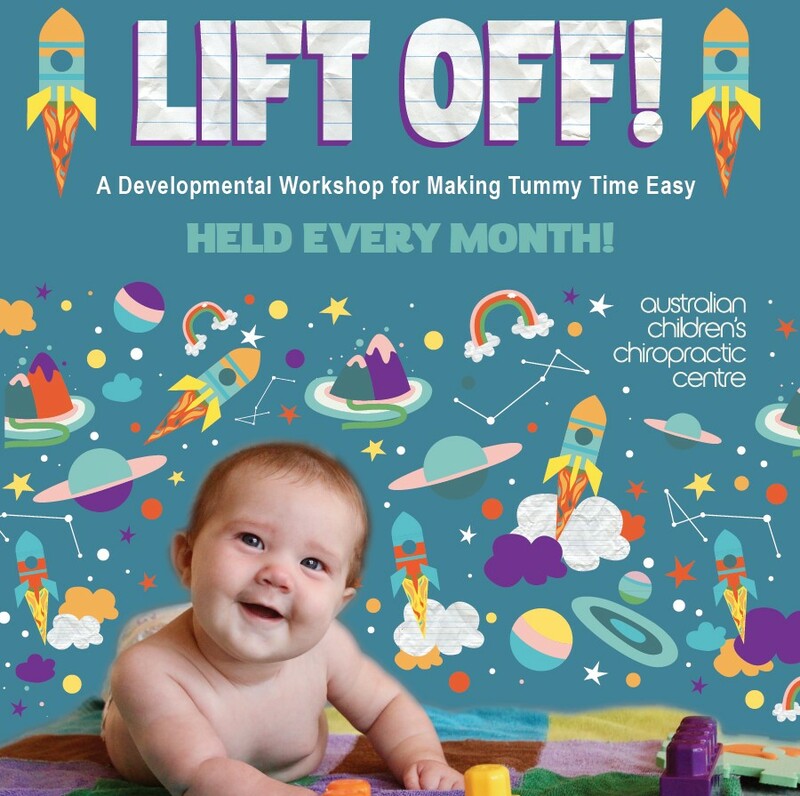 In this workshop you will learn how much time your baby should be on their tummy. Its hard to keep up with all the 'should do's' in parenting. This class helps you prioritise and feel successful. WHY tummy time is essential? In this class you will learn why! Cant make this MONTHS Class? Keep up to date on next class details! Be sure to be the first one to know about the next future Lift Off Classes! We learnt a lot and Master A had lots of fun! We had a great time yesterday, and Miss I managed to settle her cluster feeding down overnight (and also had some much needed long sleeps!) - coincidence? !